LOS ANGELES (AP) — Kristen Stewart is set to star in Elizabeth Banks' reboot of "Charlie's Angels." Sony Pictures on Thursday says Stewart's fellow Angels will be played by Naomi Scott and Ella Balinska. Banks is directing, producing, co-writing and starring as Bosley in the new incarnation of the Angels saga. Tiffany Haddish joins Tracy Morgan for the sitcom “The Last OG,” which debuts on TBS on April 2 at 10:30 p.m. Then Haddish will return to the big screen and join Kevin Hart in “Night School” in theaters Sept. 28. She’s also currently filming “The Lego Movie Sequel,” yes that’s its title, with Chris Pratt, Channing Tatum and Elizabeth Banks and it’s scheduled for release Feb. 8, 2019. Plus, she’s joined the all-star cast of Tyler Perry‘s new movie “The List,” which is scheduled to be released Nov. 2. Finally, the Haddish streak extends to NBA champ Kyrie Irving and their co-stars Shaquille O’Neal, Reggie Miller, Chris Webber, Lisa Leslie and Erica Ash in “Uncle Drew.” “Uncle Drew” is a big screen adventure based on the elderly basketball playing character Irving created for the Pepsi Max commercials. Philly’s own Charles Stone III directs this big screen adaption which hits theaters June 29. Kristen Stewart and Lupita Nyong’o for Charlie’s Angels reboot? Kristen Stewart and Lupita Nyong'o have been linked to the 'Charlie's Angels' reboot. Kristen, 27 and 34-year-old Lupita are among the stars being considered for the re-imagining of the ABC series, which will be directed by Elizabeth Banks, according to Variety. The original series premiered in 1976 and lasted for five seasons with the late Farrah Fawcett, Kate Jackson, 69, and Jaclyn Smith, 71, starring as the private detectives working for a benefactor named Charlie - voiced by John Forsyth. 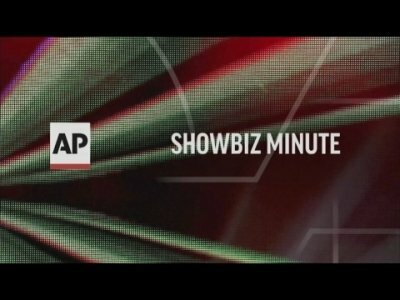 BEVERLY HILLS, Calif. (AP) — Hillary Clinton, Michelle Obama and Sen. Kamala Harris made surprise appearances at Women in Film's awards ceremony with special videos, while veteran newsman Dan Rather called the group's work toward gender parity in entertainment an example of "basic American decency, tolerance and generosity." LANGUAGE BARRIER: Tom Brady posted a pic of his gorgeous wife Gisele Bundchen on Instagram yesterday, coupled with a Portuguese caption that the app roughly translates as “Happy Valentine’s Day. I love you so much.” Some people were confused because, well, it’s not Feb. 14. Don’t worry: This isn’t a sign that Brady is experiencing symptoms of an unreported concussion. In Brazil, June 12 is Dia dos Namorados, aka Lovers’ Day, and TB12 was just embracing the culture of his supermodel wife. The 'Charlie's Angels' reboot has been given a release date. Elizabeth Banks - who produced the box office success 'Pitch Perfect 2' - will be helming the re-imagining of the ABC series along with her husband Max Handelman, 44, as part of their production company Brownstone Productions, Variety report. A sequel to the 'Power Rangers' movie is reportedly unlikely to be given the go-ahead due to its underwhelming performance at the box office. The Dean Israelite-directed reboot of the popular TV series was released earlier this year - but modest ticket sales in China mean a sequel now appears unlikely, according to Den of Geek. HARLINGEN — Mason and Cris Andrade walked the red carpet with the stars. They rubbed elbows with celebrities from Elizabeth Banks, who plays a villain in the new Power Rangers movie, to Gene Simmons of legendary rock band Kiss. And in the midst of it all, they even took a photo with a fan of the Mighty Morphin Power Rangers who was wearing their T-shirt brand “Affirmative,” a clothing line sold by them and the original Blue Ranger, David Yost. LOS ANGELES (AP) — Glamour magazine closed its 26th annual celebration of trailblazing women with a star-studded tribute to Hillary Clinton. Lena Dunham, Shonda Rhimes, Elizabeth Banks, Chelsea Handler, Ted Danson and Constance Wu were among the entertainers who paid homage to the Democratic presidential candidate at Glamour's Women of the Year Awards Monday in Los Angeles. They listed Clinton's achievements and thanked her for her leadership as a guitarist played a somber tune. CHICAGO (AP) — Attorneys representing the widow of baseball great Ernie Banks have withdrawn from a lawsuit over his estate. Elizabeth Banks has contested the will the former Chicago Cubs first baseman signed three months before his January 2015 death, which left his inheritance to Regina Rice, a longtime friend who took care of his financial affairs, the Chicago Tribune (http://trib.in/2dmrHSC ) reported. WEST HOLLYWOOD, Calif. (AP) — The Emmy Awards won't be presented until Sunday night, but the festivities have already begun. Show sponsor Audi hosted its annual pre-Emmy celebration Thursday at Catch restaurant in Hollywood where nominees such as Constance Zimmer, Tony Hale, Rami Malek and Melora Hardin were the guests of honor. Other stars at the party included Elizabeth Banks, Jamie Foxx, and "Modern Family" stars Sara Hyland and Nolan Gould. LOS ANGELES (AP) — "Step Up All In" director Trish Sie is stepping up to direct "Pitch Perfect 3." Producer and "Pitch Perfect 2" director Elizabeth Banks tweeted the news Thursday. Banks, who has produced the "Pitch Perfect" films since the beginning, in addition to playing a small part in the a cappella series, was originally slated to direct the third installment after the latest performed so well at the box office. Earlier this year Banks backed away from the role. You could've heard crickets in the Democratic convention hall when the "Pitch Perfect" and "Hunger Games" actress attempted a joke or two in introducing a short video about Hillary Clinton. Delegates barely laughed or clapped. Nomination fatigue? Clinton had just received the party nod.